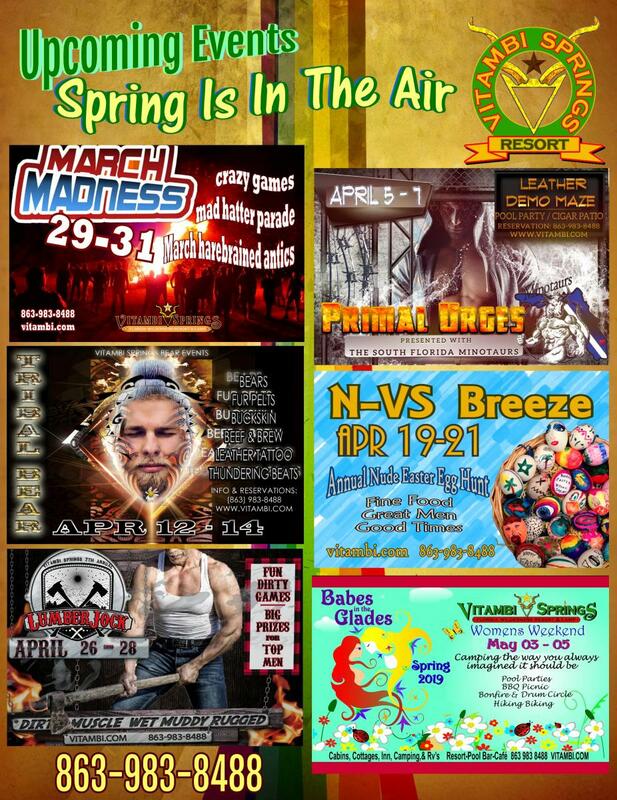 Vitambi Springs hosts many different themed weekends throughout the year - If you're a fan of Leather or Bears - oh my! Or Naturists, sports or holidays, we've got your fun. We are very proud to host several weekends throughout the year aimed at personal development, learning and growth. We are also very proud to expand our reach within the LGBT community and offer weekends where all are welcome and two weekends a year geared specifically towards Women. Make plans to join us. Your Natural Adventure Awaits.....Come Find Your Fun!